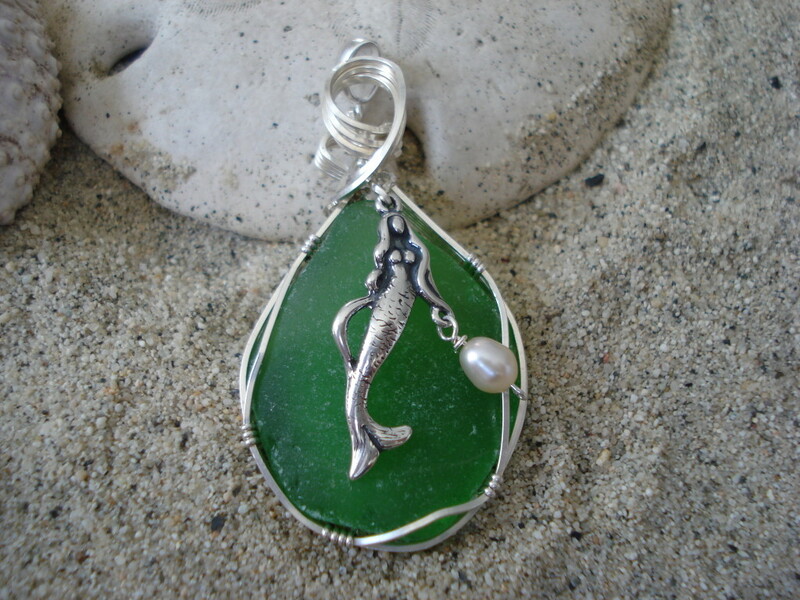 Emerald green sea glass wrapped in sterling silver wire with a sterling Mermaid Charm. 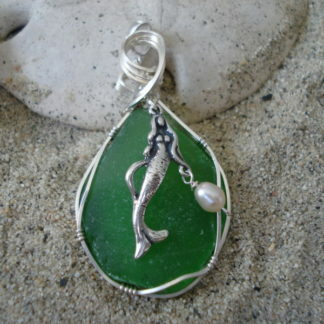 The lovely mermaid is holding a fresh water pearl. The pendant also features a sterling bail which allows you to wear it on a chain or omega circlet. The pendant comes with an 18~ sterling chain. 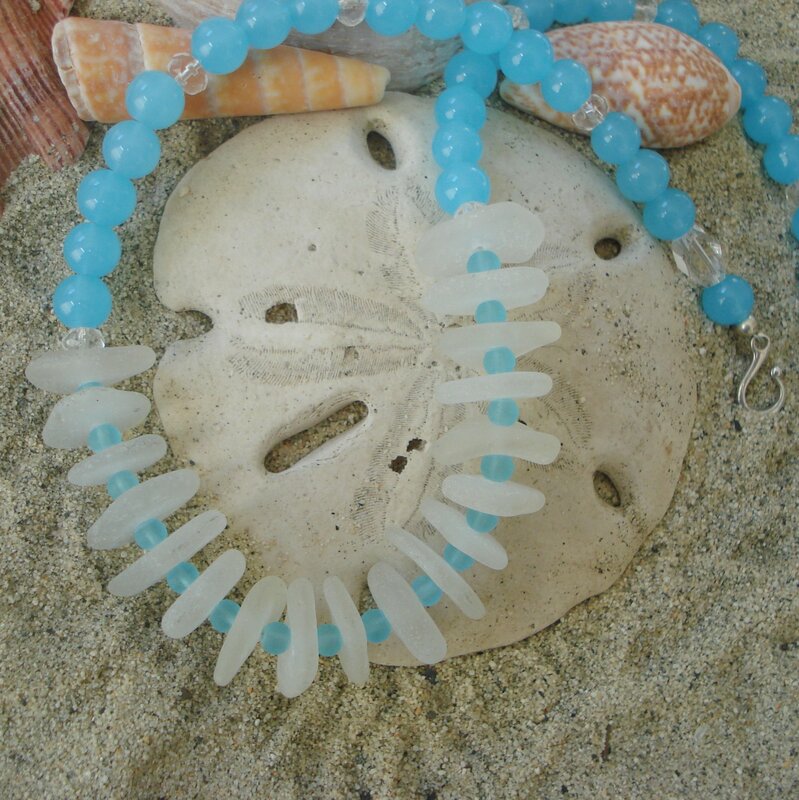 Approximately 2 ½~ long from bail to bottom of pendant. 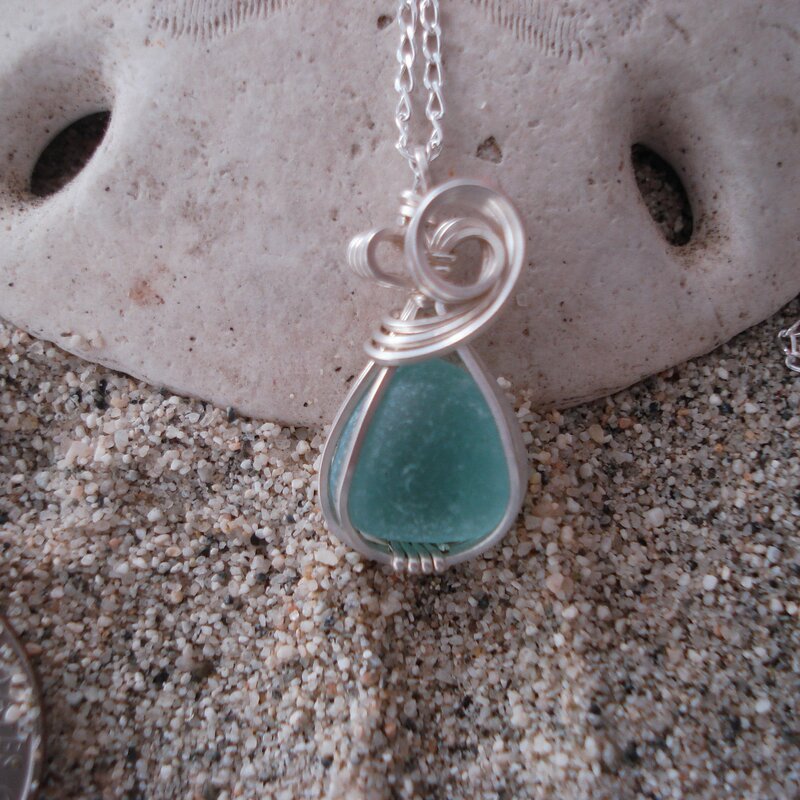 This sea glass pendant with mermaid will remind you of summer days at the beach. 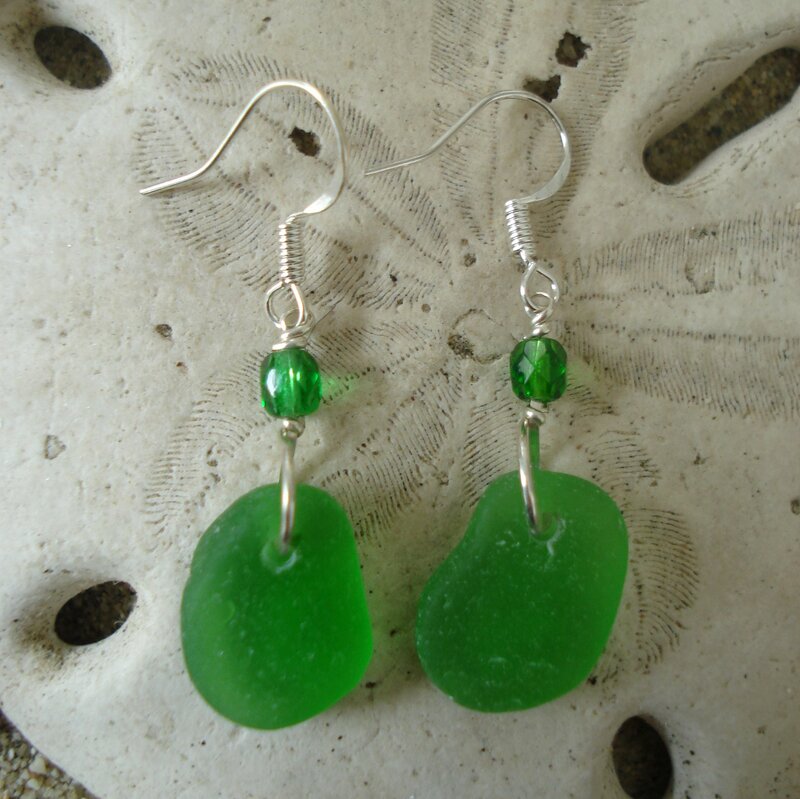 Location – This sea glass was found in Mazatlan, Mexico. Hand-picked by us.